Civilization increased further after Ibrahim and Ismail (Peace Be Upon Them) built the Holy Mosque. The Tribe Jurhum was the historical custodian of the Holy Mosque until the Tribe Khuz’ah took over. Around the 5th Century A.D. Qusay Ibn Kilab was the custodian of the Holy Mosque and Zamzam. Unfortunately the well was neglected and was eventually buried. Abdul Muttalib Ibn Hashim, the grandfather of Prophet Mohammad (pbuh) dug the well once more after the event of the Elephant and Zamzam water emerged once again. My God, I left some of my family in this valley by Your Holy Mosque. Please God, make them perform their prayers, and let the hearts of people go to them, and support them with the means of living that they may be thankful. The Messenger of Allah (pbuh) said “The best water on the face of the earth is the water of Zamzam; it is a kind of food and a healing from sickness.” (Saheeh al-Jaami’, 3302). It was reported in Saheeh Muslim that the Prophet (peace and blessings of Allah be upon him) said to Abu Dharr, who had stayed near the Ka’bah and its coverings for forty days and nights with no food or drink other than (Zam Zam): “How long have you been here?” Abu Dharr said: “I have been here for thirty days and nights.” The Prophet (peace and blessings of Allah be upon him) said, “Who has been feeding you?” He said, “I have had nothing but Zam Zam water, and I have gotten so fat that I have folds of fat on my stomach. I do not feel any of the tiredness or weakness of hunger and I have not become thin.” The Prophet (peace and blessings of Allaah be upon him) said: “Verily, it is blessed, it is food that nourishes.” (Narrated by Imaam Muslim, 2473). 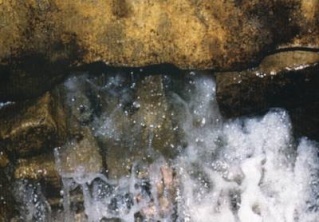 Zam Zam water was named “ZAM ZAM” because of the abundance of its water. It was also said because it collects. Another reason was that Hajjar said: “Zam, zam” which means stay in one place. Narrated Ibn Abbas: I gave zam-zam water to Allah's Apostle and he drank it while standing. * Face the direction of the Qiblah. * Say the Name of Allah. Zamzam water is the best in the Universe. And Al-Kawthar Water is the best in the Next Life. Some scholars stated that the best water ever was the one that came through the fingers of Prophet Mohammad (pbuh), followed by Zam zam water, then Al-Kawthar Water, then the River Nile water and then the rest of the rivers. Zam zam well is located 18 meters from the Black Stone to the East of the door of the Ka’ba, behind Maqam Ibrahim. It is clearly marked by a sign: “ZAM ZAM WATER WELL” which is 156 cm above the actual well, under the Mattaf. In 1908 and 1973, chemical analyses were performed and proved that Zam zam water is indeed free of germs or pollutants. It is considered a mineral water, as its mineral content is 2000 mg/litre. It contained the following minerals: Calcium, Sodium, Magnesium, among many others. Zam zam is the richest mineral water with Calcium (200 mg/litre). The Prophet Mohammad (pbuh) was truthful when he said: “Zam zam is the feed of Hunger”. Chemical tests proved that Zam zam water is exceptionally pure and has neither colour nor taste. By international health standards, especially those of the World Health Organization, Zam zam water is perfectly potable, has good health results and has a high sodium content. It was also discovered that by the Will of God Almighty, on evaporation, mineral content of Zam zam increases, however it has no adverse results on health, on the contrary, it is extremely beneficial.